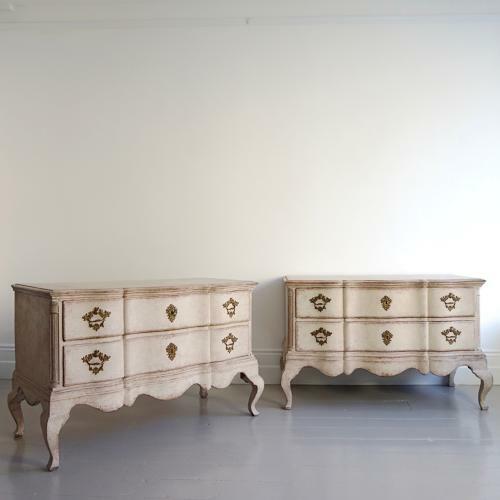 A pair of extremely rare and beautiful grand scale Baroque serpentine chests with their original hardware and locks. Scandinavian circa 1840. Restored.